When the word "Frosty" is mentioned it's hard to figure out what image comes to mind first... the perfect curl on the top of that delicious concoction or the red haired girl Wendy herself. Which ever one, they both represent the iconic brand that is Wendy's. But have you seen the new Wendy's? It's a whole new restaurant designed for the 21st Century customer. The restaurant chain has over 6,000 locations, including two locations in Duluth and another in Cloquet. However, on January 13th the Duluth location at 1720 Miller Trunk Highway near the Miller Hill Mall was temporarily closed after an early morning fire broke out near the drive-through window. While it wasn't a huge fire, it still did damage to the building, mostly the interior spaces. With fire it's the soot and overall fire smell that cause damage to virtually untouched areas. Plans as mentioned by Bob Sullivan were to completely renovate the interior space, including entirely new kitchen equipment and work spaces. Literally the interior was ripped down to the bare studs and everything, literally everything, was taken out. Work began on the renovation a little while back, but now due to some new documents being sent to the city, we have reason to believe that this renovation has become a little more intense. 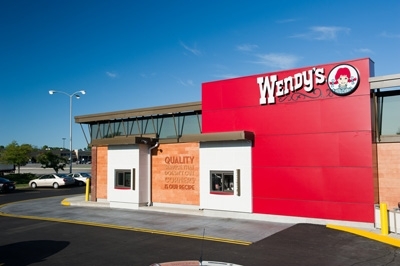 Wendy's is about to get a little bigger (and maybe even introduced to a whole new side of Wendy's)! 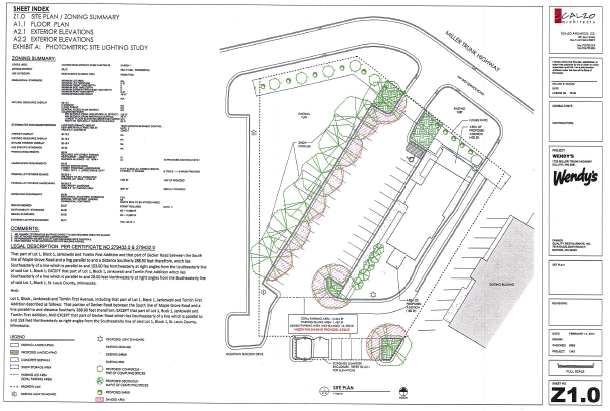 Documents now show a 420 square foot addition to the front of the structure (and space for a future patio), along with an additional 180 square foot addition to the back of the structure. While the original renovation for the space called for only an interior renovation, we're assuming things must have been re-evaluated and that the idea for a total "refresh" of the building was introduced. While it's not a huge addition, here's why the addition could be a big deal. 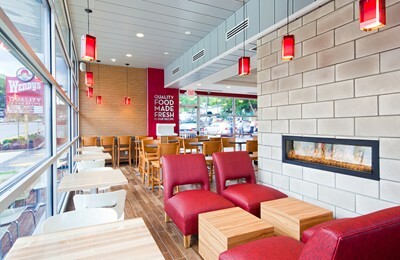 Duluth could possibly see one of the first entries of Wendy's newest prototypes to the Minnesota market. If you haven't seen this new look for images... prepare yourself because it's a classy one. We've included a gallery of the new prototype design below so that you can see what it looks like. Keep in mind that we here at cdinduluth still don't know if the addition will mean a full exterior renovation for the current restaurant. BUT, you can at least see the potential of what the new look could be. We're almost certain that some of the new designs will be included in the renovation... And we can dream for a full renovation...right?